What Is Senior Estate Planning? In our society the idea of growing older is taboo. We embrace fresh-faced celebrities and we buy $100 face creams in an attempt to stave off the inevitable. This mentality leaves many of us unwilling to prepare for our golden years and thus, we are unprepared for what the future may hold. In fact, the National Association of Estate Planners & Councils estimates that more than 120 million Americans do not have an updated estate plan or any long-term financial plans. While the thought of growing older might be unpleasant to think about now, a senior estate plan can mitigate some of the perils and anxieties of aging. Those who have planned ahead are typically more legally, emotionally and financially prepared to take on their golden years than their counterparts whom lack a senior estate plan. What does senior estate planning consist of? 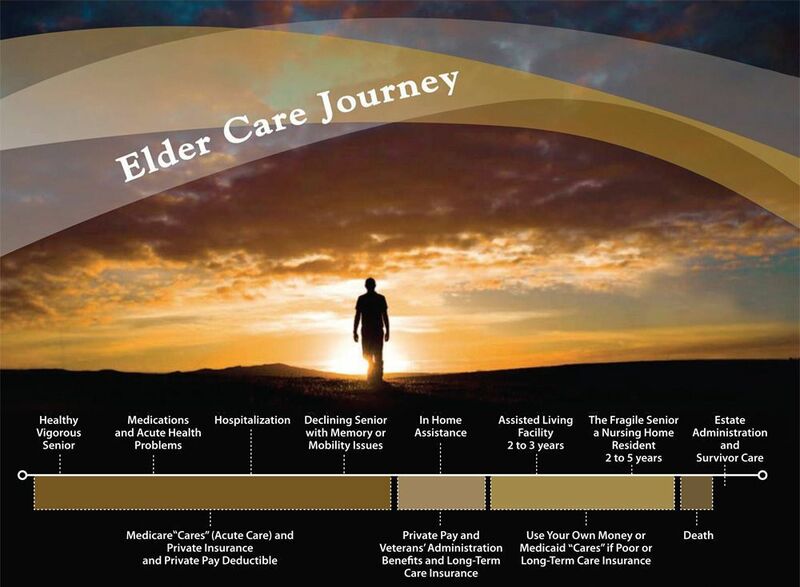 planning for long-term care; asset protection; help applying and qualifying for public benefits such as Medicaid, Veterans’ benefits, Medicare special assistance aid. will and trust planning; planning for minor children; planning for adult special needs children. When should I create my senior estate plan? The following diagram can help you and your loved ones understand the natural progression of aging. It also demonstrates the correlation between your age and your health, finances and living situation. As you can see, there can be very few steps between being a healthy, vigorous senior and falling victim to an illness or injury. An elder law attorney can proactively create a senior estate plan, before an emergency arises, that minimizes the unwelcome financial and emotional surprises you might experience in your senior years. For example, if you need in-home assistance after a hospital visit, your senior estate plan will have a clear roadmap for how to finance the care (whether it be from your savings, private insurance or a Medicare benefit). Additionally, the plan will have definitive instructions for your family to follow if it becomes necessary for you to enter an assisted living facility. Your family can reference the plan when deciding what facility you want, if there are any particular attributes to look for in a facility and what you can reasonably afford to pay for the facility. Carolina Family Estate Planning can answer any additional questions you have about creating a senior estate plan. Please call our office at (919) 443-3035 or contact us online. Your free planning assessment will give you a roadmap of what steps you should take next and can provide you with additional resources.